Add special trailing effects to your mouse. Is there a better alternative to Magic Trail? Is Magic Trail really the best app in System category? Will Magic Trail work good on macOS 10.13.4? 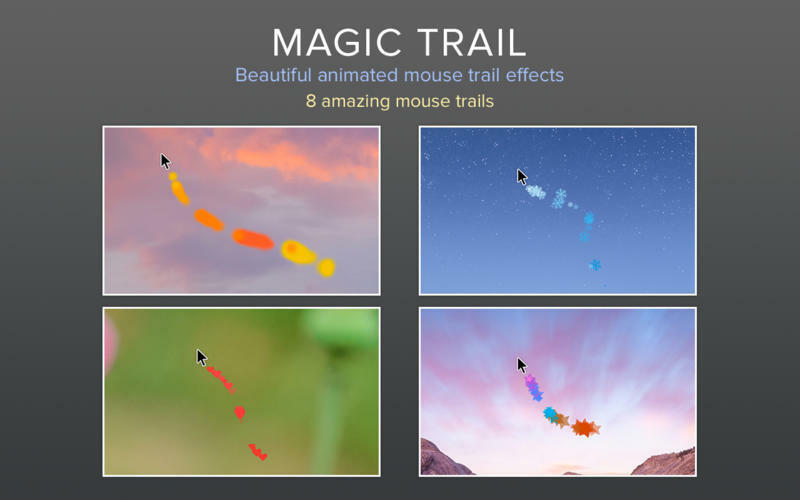 Magic Trail is a fun app that allows you to add special trailing effects to your mouse and trackpad pointer. It is the best app of its kind and even works with multiple monitors. Use it to impress your friends and brighten up your day with fun and interesting mouse effects. The app lives in your top menubar and from there you can easily access further options to customize the mouse trail. Magic Trail needs a review. Be the first to review this app and get the discussion started! Magic Trail needs a rating. Be the first to rate this app and get the discussion started!